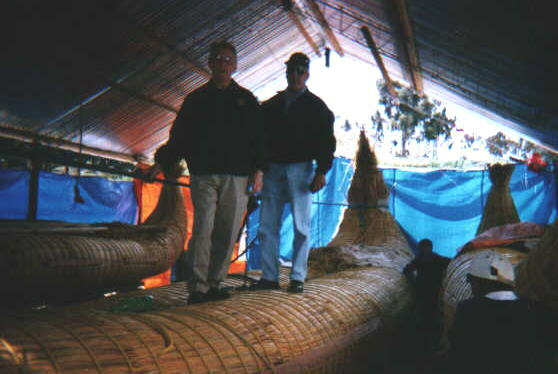 May 20, 2001 After a thorough investigation of boatbuilding practices in Lake Titicaca, Fish Doc is back online with Cherokee. Much has happened in the space of two months. 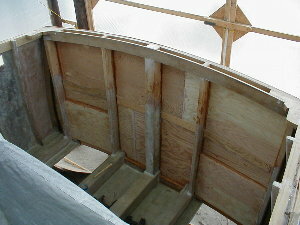 The rope locker, along with its bulkhead, are now in place, fiberglassed and awaiting paint. The bow thruster tube is now in place. It is fully fiberglassed, and one hundred percent structurally ready to go! 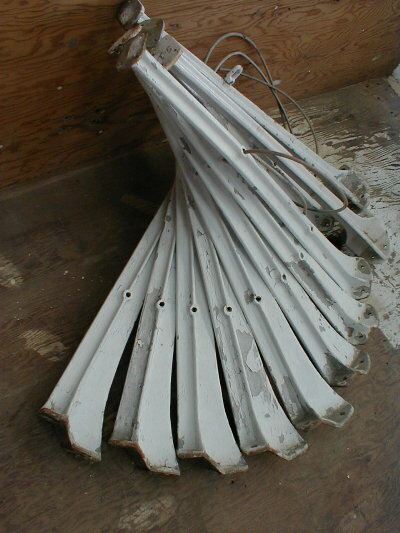 The motor and propellor have been removed for safety, and to allow for painting. 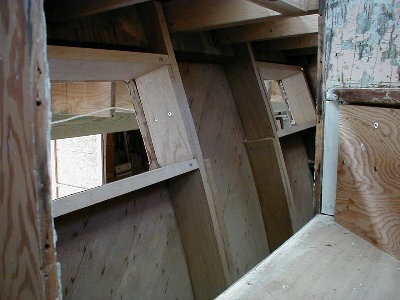 Jeff has completed the pilothouse windows, short of the glass frames. 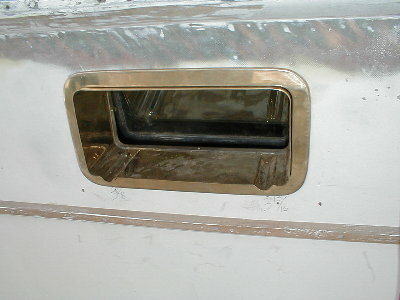 He has also raised the galley windows six inches. 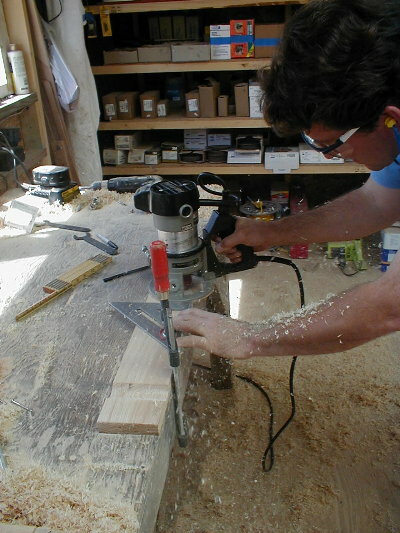 Jeanette has built a staging to accommodate removing toe rails and to sand the sides of the pilot house structure. 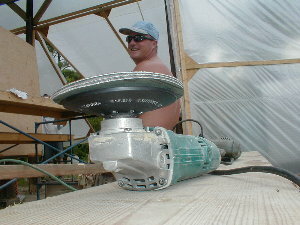 The water jets have been fit to the bottom by John Stein. The 8-V92’s have been started and run for several hours. The beds for the fuel tanks have been put in place as well. 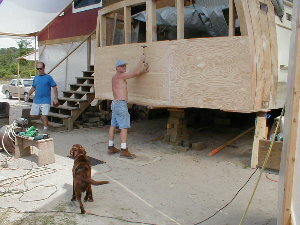 Norm has fit all of the decking forward, including decking over the rope locker. 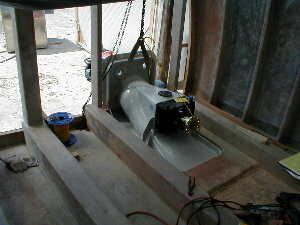 The “coffin” has been built to contain the poly-holding tank for the black water. The thermapure arrived on the scene, and over half the portlight frames have been built and permanently glued in place by Jim and John, with all bolt patterns completed. 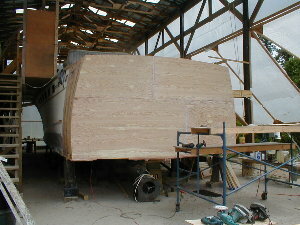 After most of the fiberglassing in the engine room was done, the transom was then put in place. This lends a certain closure to Cherokee, as her aft is no longer hanging in the breeze. 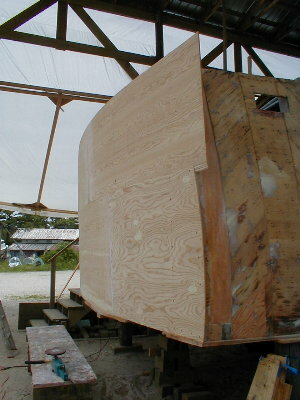 Leonard at 4:30, May 21, Transom Completed! 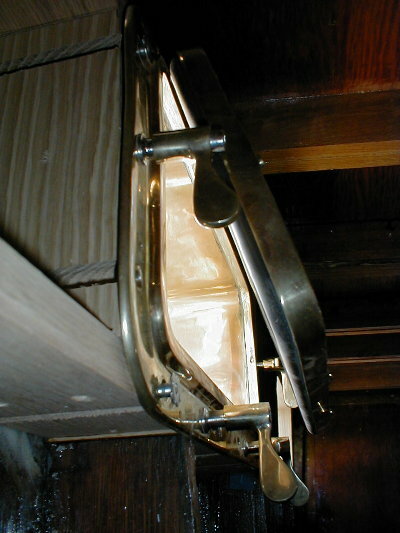 Port lights are being fitted and installed, a process that includes making jigs, routing frames, and fitting lights within new frames. 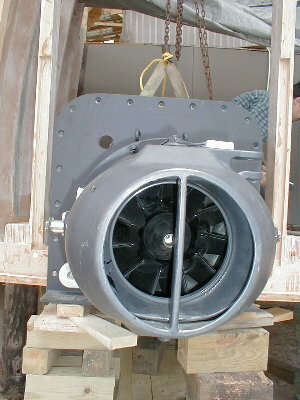 The waterjets arrived, and the crew hoisted them up and temporarily fitted them into place before the new transom was begun. Meanwhile, Jeanette and Brooks (Jeff’s son, who is working after school until the shrimp show up) have not only been hard at work building staging and removing stantions and toe rails, they have also started sanding the starboard side of the pilothouse and trunk cabin. 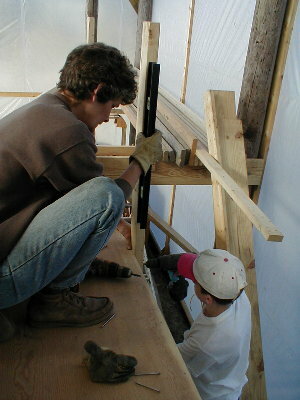 Reed Boat Construction in Bolivia – Can You Find the Gringo?